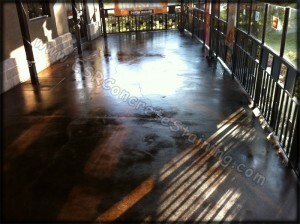 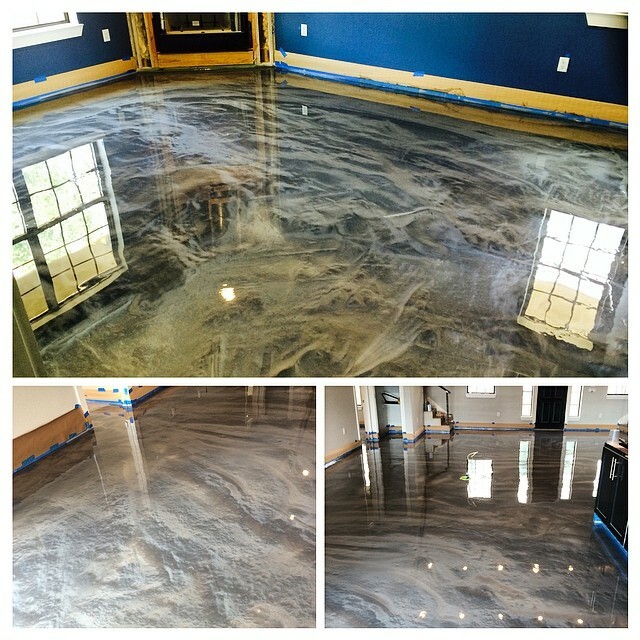 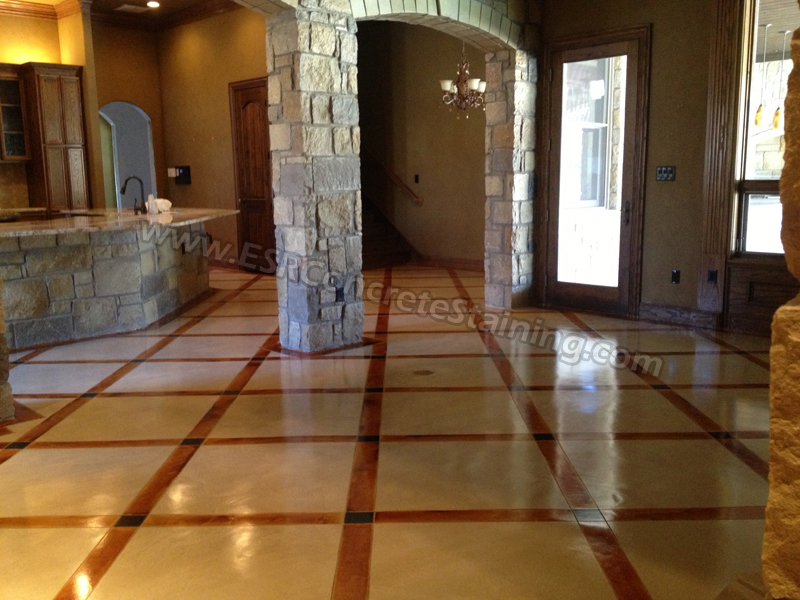 We stained this restaurants back patio transforming the boring gray concrete. The owner of this restaurant wanted to fix up the patio of this restaurant to make it more inviting for its customers. 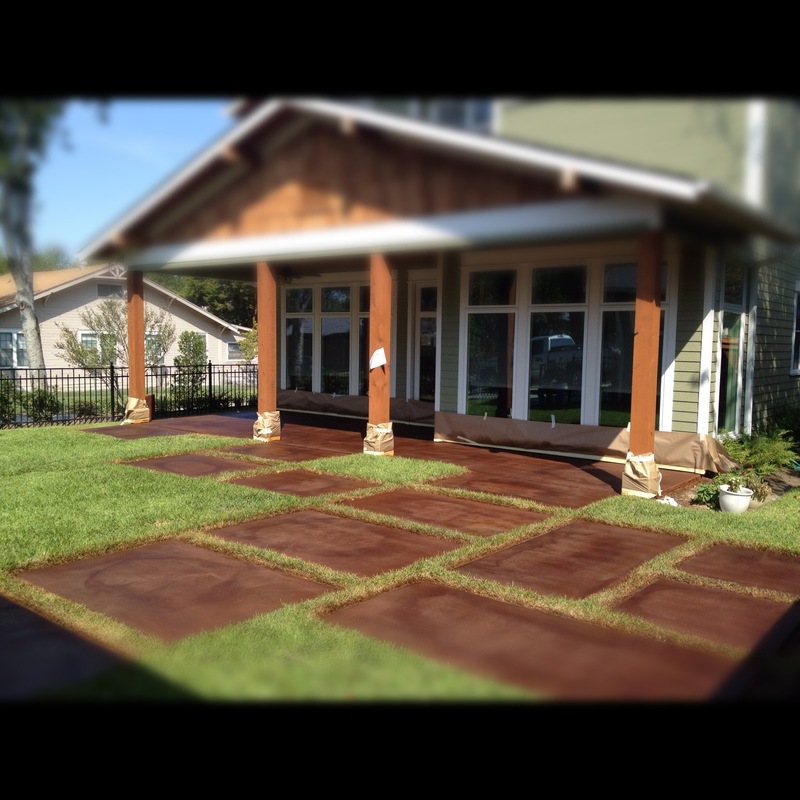 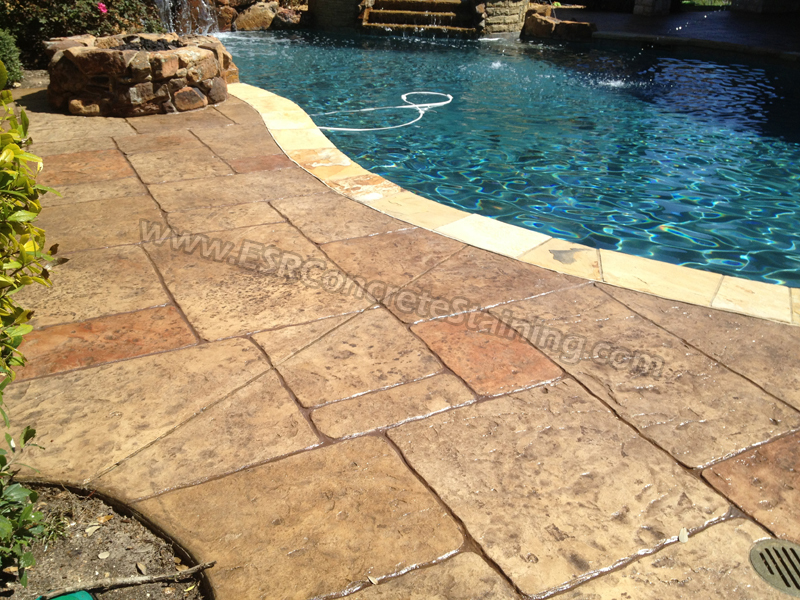 Acid staining the patio was a great option with our solvent based sealer and anti-slip additive. 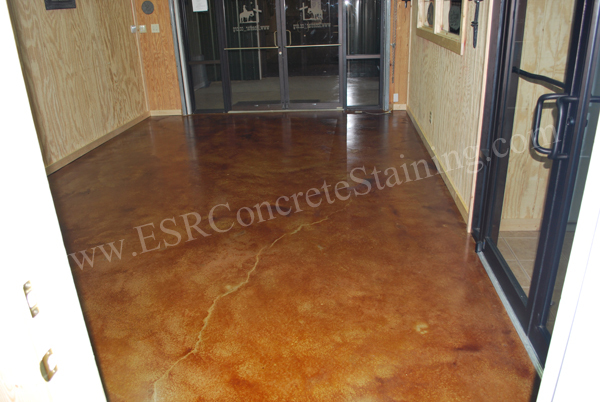 Customers will now be able to enjoy their meals sitting in a warm modern decor atmosphere. 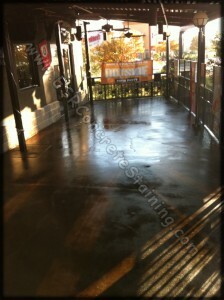 The patio is now much easier to clean and maintain for the restaurant with the sealed surface not soaking in any spills. 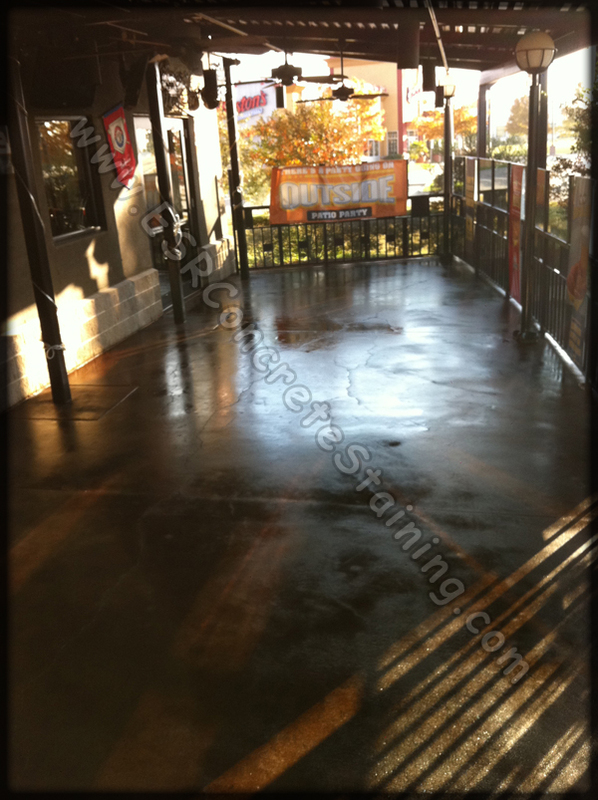 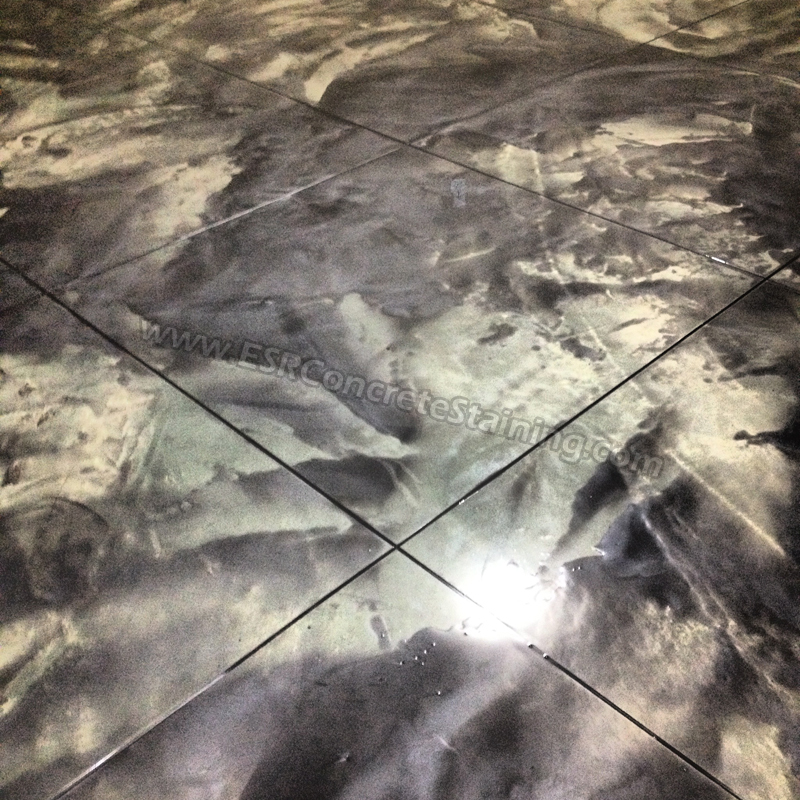 The restaurant owners can also have a sound piece of mind knowing that their customers and staff have added slip protection with our non slip sealer additive.